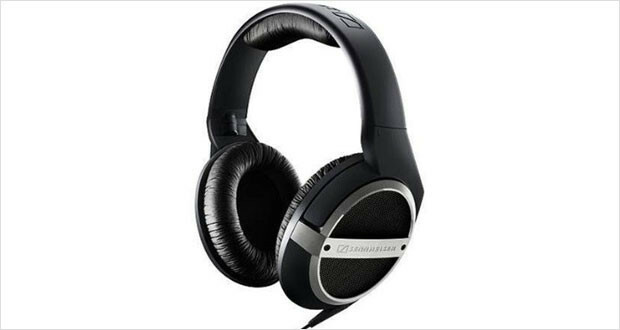 Sennheiser is the household name for laypeople when they think of the high end segment of headphones. There is a good reason why the Sennhesiers have become one of the market leaders of the headphone industry – they play well and are a little overpriced to boot! The HD400 range of headphones is well on the way to becoming the midrange equivalent of the best over ear headphones in the industry. To this effect the Sennhesier HD448 headphones are quite comfortably placed with an aspiration to become one of the best noise cancelling headphones as well. These cans are durably built with hard plastic and have a very neutral sounding board across all dynamic ranges – the tone is without any inflection and they are great as reference headphones. However not everyone would be pleased with its sometimes flat response to the frequencies. 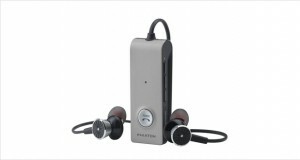 However, the noise isolation is one of the weak points of these headphones. They only ever shine in very quiet environments and are mostly not very useful in crowded trains or aircrafts. This coupled with its asking price is not exactly the recipe for greatness – there are many headphones available in this price range that outdoes the HD448s handsomely. The Sennheiser HD448 headphones are made entirely in plastic but that does not deter from the build quality. It may look a little cheaper than the white knights in shining armor – the higher end models from Sennheiser. However these are adequately well made and curvy in the design – the headband is not too tight and the ear cups are not too big. The memory foam does make one sweat under the ear quite quickly though. Dimensions8.1 x 3.7 x 9.3"
Made in all plastic, the HD448s are not very fragile – the build is quite forgiving of a bit of rough handling. The headband is light and slack but not overly much, while the ear cushions are extremely comfortable but the memory foam might not be a good idea to use in warmer climates. The highs are chirpy but lack the punch and clarity of a Sennheiser device. Mellow lower mids with a bit of punchy higher mids make this a bit of a warm device overall. Bass response is adequate, but one must understand that these are more towards the neutral warm tones than a bass-dominant pair of headphones. 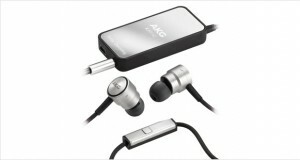 The noise reduction is quite poor – the closed back allows for more sound leakage than an open-pore back pair of in ear monitors. The overall performance of these cans is great but for the asking price one does tend to expect a lot more. The Sennheiser HD448 headphones are certainly one of the better sounding neutral pair of headphones we tested out. However, it is not exactly the best performer in its price point and if you like neutral headphones then we would advise you to save a little more and buy a better product at a higher price.